The aviation-themed chicken wing chain wants to focus more on global comms. DALLAS: Wingstop Restaurants has brought on Edible, Edelman’s food and beverage subsidiary, as global PR AOR. 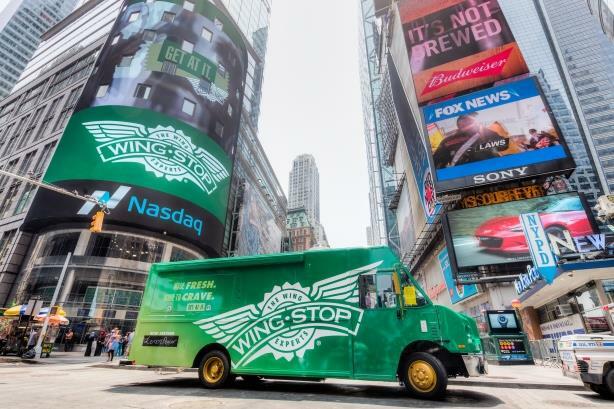 Edible began working with Wingstop this month, said Brian Bell, director of PR, events, and sponsorships at Wingstop; three agencies participated in the RFP process, which started in December and wrapped up in mid-March. The incumbent on the account, ICR, was not invited to re-pitch. The agency’s relationship with Wingstop is set to end on May 31. Edible is handling external brand comms, corporate communications, executive visibility, and crisis comms. The firm is also supporting the Wingstop Foundation, the restaurant’s nonprofit aimed at assisting underserved youth by providing financial resources and creating opportunities for students to further their education. Edible is also helping Wingstop with international comms as it plans to open locations in London and Bogota, Colombia, this year. In the U.K., Wingstop also works with Exposure. Because Wingstop wants to be a top 10 global restaurant brand, it decided to bring on a new, international-focused AOR, Bell explained. ICR was mostly handling U.S. work. Wingstop is headquartered in Dallas but operates and franchises more than 1,000 locations in the U.S., Mexico, Singapore, the Philippines, Indonesia, the United Arab Emirates, Malaysia, and Saudi Arabia. "We decided to move on from ICR and look at someone who had a global role and presence," said Bell. "ICR worked with us in the U.S. and they supported us by creating press releases if we were going to expand somewhere. But they did not have the resources, in our opinion, to handle the global work. We did not have them supporting us internationally the way Edible will." Wingstop has worked with ICR since it went public in 2015. Bell explained that the restaurant chain hired the firm at the time because it needed an agency that had financial comms experience. "They have done a great job and the work they produced was really strong," said Bell. "But as we elevate to looking at a global landscape, that is the only reason we are going with another firm. ICR is a phenomenal agency." ICR representatives declined to comment. Edible GM Amy Kull, who is based in San Francisco, is leading a team of 10 on the account. Bell said the account lead and number of people on the team will change based on what country Edible is working in. The budget is still being determined, said Bell. The chain’s CMO, Flynn Dekker, resigned in March after four years at the company. Bell said Wingstop has not announced Dekker’s replacement. Editor's note: This story was updated on May 30 to clarify that Wingstop also works with Exposure in the U.K.